I have some old machines just sitting there doing nothing. These machines will not play along nicely using windows or large footprint Linux distros like Suse. Using an old Distro is out of the question, so what is left to do? 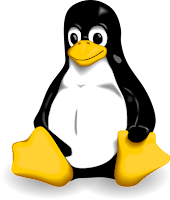 There are various solutions out there that include small footprint and low requirements such as Damn Small Linux(DSL). What if, though, I want new kernel, the latest and greatest packages, nice interface and low requirements at the same time? 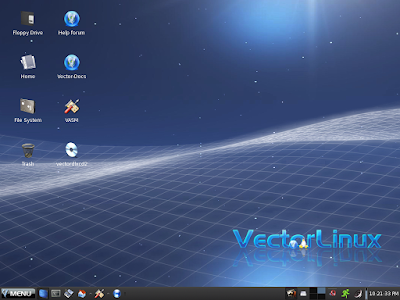 VectorLinux is here to save the IT-damsel-admin-home-user in distress by providing a very fast distro, new kernel, new packages optimized for performance. Ok do not expect to run OpenOffice 3 on a pentium II 300 MHz but you get my point. As fast the OS is concerned everything is fast. It is based on Xfce Desktop and it looks rather nice. On the downside it still uses Lilo by default so if you have all your machines running with grub you might have to spend some extra time twiking. SOHO Edition: Pentium 750 or better, 128MB RAM minimum, 3.1GB hard drive space for system only, more for your data, video and monitor capable of 1024x768 resolution at 24 bits color. The new version 6.0 was just released offered into 2 different packages. One free and one that costs 25$. The difference is that in the pay version you get to have 15 days installation and configuration support and some extra packages by default. A live CD is available, as well, if you just want to try it out without installing.You can download it from here.